Aspire Football Dreams looked like they had a great pace on the game today; and the Real Madrid players were really quick on their feet. The white shirts were creating good opportunities, but they were not really hitting target. The pressure finally paid off, when Otabil brought that first goal for Aspire Football Dreams; they really deserved that goal. Once again, Real Madrid could not seem to put away their terrible record against Aspire Football Dreams tonight. Manuel Fernandez was shouting in the background at the goalkeeper. The first half had been dominated completely by Aspire Football Dreams. Real Madrid was kicking in a right to left direction in the second half. The referee did not spot a handball in this half; it should have been a penalty. Kubi was claiming that there should have been an offside flag, when the first goal came in from Real Madrid; there were also a couple of complaints rising from the benches. There was enough space on the ball, and Real Madrid was back in the game, when Latasa brought that first goal for Real Madrid. 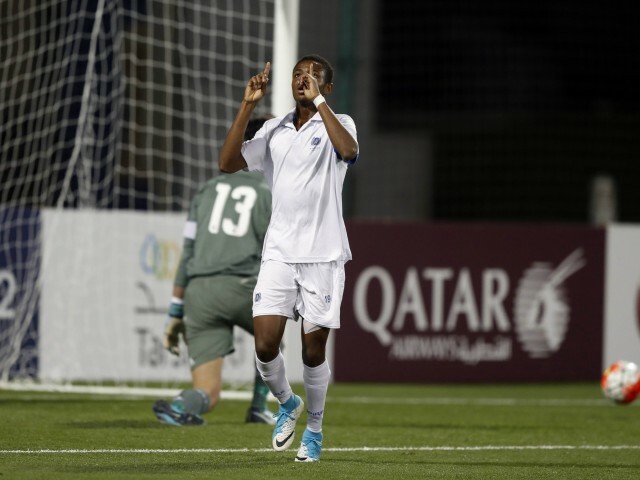 It was a great finish from Nuhu, which put Aspire Football Dreams in the lead at second half. A free header from Lutalo made it 3-0 for Aspire Football Dreams. It had not been a happy night for the Spaniards.